When something goes awry during surgery, national guidelines recommend doctors and hospitals make a full disclosure to the patient and their family members. A new survey of surgeons in 12 specialty areas reveals that most follow at least some of the guidelines, but many fall short of offering a straight-out apology when a medical error occurs. The study, published in JAMA Surgery, involved a web-based survey completed by more than 60 surgeons who worked at three Veterans Affairs medical centers. Explaining to the patient or family why the error happened. Disclosing the error within 24 hours after the operation. Expressing regret that it happened. Showing concern for the patient's welfare. Taking steps to treat any additional problems that result. However, only 55 percent of surgeons surveyed said they apologized or discussed whether or not the error was preventable, according to the researchers from the Center for Healthcare Organization and Implementation Research, Veterans Affairs Boston Healthcare System. The authors were also interested in learning how disclosing medical errors to patients affected the surgeons. They found that those who were less likely to talk about prevention, and who pointed out that the error was "very" or "extremely serious," as well as those surgeons who reported "very" or "somewhat difficult" experiences discussing the event, were more likely to be negatively affected by it. And surgeons who had more negative attitudes about disclosure at the study's start had greater anxiety about their patients' surgical outcomes or events after a disclosure. "It's very difficult to talk about these things if you're a doctor. They are disappointing, upsetting and frightening," Dr. Albert Wu, a professor of health policy & management, medicine, and surgery at Johns Hopkins Bloomberg School of Public Health, told CBS News. Wu, a leading expert on issues related to disclosure, said the new study shows signs of positive change, though. "I think there was a wall of silence, a code of silence. Secrecy was pretty much the rule back when I started looking at this in the eighties. Since then, there has really been a sea change and people acknowledge it." He added, "I think we now widely accept that patients should be told when things go wrong, when there are unexpected events, when things go other than planned. It's their right to know about it." To some extent, to be a great surgeon, you have to suspend disbelief and believe you can do some things that are seemingly impossible, Wu explained. Disclosing errors complicates that. "I was watching Red Bull cliff diving last week. It's like that. You have to believe you can jump off a 90 foot cliff and survive. I'm not a surgeon but I've seen people in an emergency make a 2-foot-long incision in one second and to be able to do that you need to have a certain amount of confidence," said Wu. 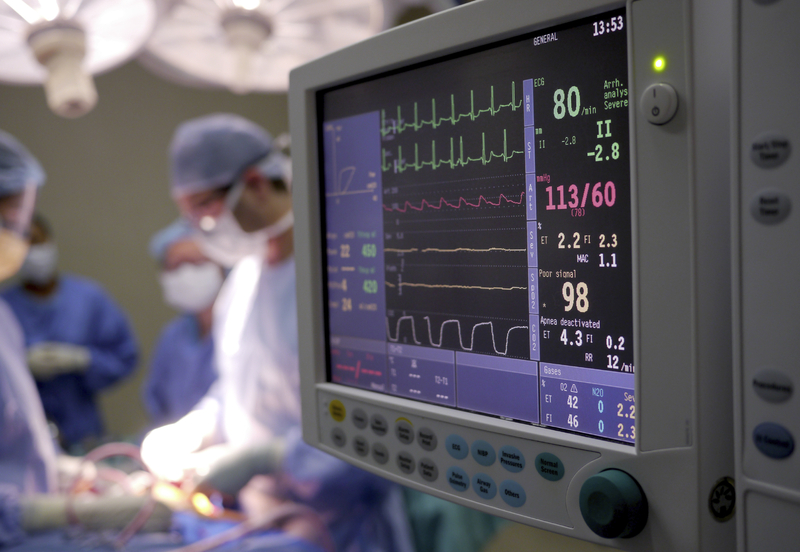 If a medical error occurs on a surgeon's watch and they lose that sense of confidence, it can be detrimental and damaging to a surgeon, he explained. At Johns Hopkins, they implemented one of the first error disclosure policies in 2000. Under it, a health care worker will not be punished or disciplined for reporting an error. "We disclose very promptly, very fully apologize, take responsibility and take action to avoid future similar events. We try to be as transparent as possible," Wu said. "That said, I think there are probably things that don't get disclosed." "Anyone who sees patients and who is a human being will have things go wrong. Particularly for a surgeon, there are technical errors -- errors where you might be clumsy. Might slip. Have a lapse and do something you are not supposed to do. And when things are happening quickly, when there's an emergency or trauma, sometimes you need to do things where you can't see. Some surgery requires a microscope or telescope to do the procedure, or things that require strength if you're an orthopedic surgeon." Other "classic" errors include inadvertently damaging a structure within the body -- for example, cutting a nerve or accidentally puncturing the bowel during gall bladder surgery. Or a surgical sponge can get left behind. "If you think about it, if you're poking people with sharp objects, there are going to be essentially slips. I was in a surgery once where eye glasses dropped into a patient. It's stupid and clumsy and makes you seem ridiculous. So would you tell the patient? The answer is yes. Anything that requires a change in therapy or an additional test or action. Or where you'd be embarrassed if it came out later. It didn't happen at Hopkins. It was a case where a student leaned over to look and glasses accidentally dropped in. The patient got an extra dose of antibiotics," said Wu. In 2004, Hopkins developed disclosure video training and started teaching courses on it in the medical school. "For quite a few years now we've required that all medical students in their second year get an hour-and-a-half class on how to disclose an adverse event. They practice on each other. They look at video scenarios. It is surprisingly difficult and uncomfortable, even when it is a student disclosing to another student who is pretending to be a patient. People are always nervous and fearful. They may even laugh nervously sometimes," said Wu. Others cry. A punitive response to medical error doesn't benefit the doctors or patients, he said, unless of course someone shows repeated negligence. But not all medical centers approach disclosure the same way and some staff lose their jobs for actions that led to medical mistakes. The repercussions can be devastating for medical staff as well as patients. Wu pointed to the case of a Seattle Children's Hospital nurse, Kimberly Hiatt, who accidentally gave an infant a fatal overdose of medication in 2010. After the baby's death, Hiatt was put on administrative leave and then dismissed, and subsequently battled to keep her nursing license. She eventually took her own life. Medical errors overall are pretty common, said Dr. Martin Makary, surgical director of the Johns Hopkins Multidisciplinary Pancreas Clinic and a professor of surgery at Johns Hopkins Medicine. Medical errors range from misdiagnoses to botched surgeries to prescription medication mistakes, and taken as a whole are the third leading cause of death in the United States, according to Makary, the author of a study out this past May in The BMJ that found more than 250,000 Americans die due to medical mishaps every year. That's greater than the toll from any major medical condition except heart disease or cancer. The new VA study tackles an underrepresented yet important topic in medical education, said Makary. "What do we do when things go wrong? How do we communicate uncertainty and risk and how do we communicate when something went wrong? There's a science to it," he said. "The study points out the consequences of not having good communication skills in what's often a very messy series of events that can result in patient harm," he said. When looking at things from a medical ethics standpoint, Wu said that patients deserve to know when things don't go as planned in the operating room. "The golden rule is that people expect to be told when something goes wrong. The patient can benefit from the knowledge. It's possible they might be upset by it, too, if there are potential harms. But in almost all cases the patient benefits from accepting that something, some sort of injury or harm, has been done," said Wu. "And they expect an apology and expect you to be honest with them." "If this study were done 25 years ago, a smaller percentage of people would disclose. I think you're never going to get to 100 percent, but I think things are getting better," Wu added.